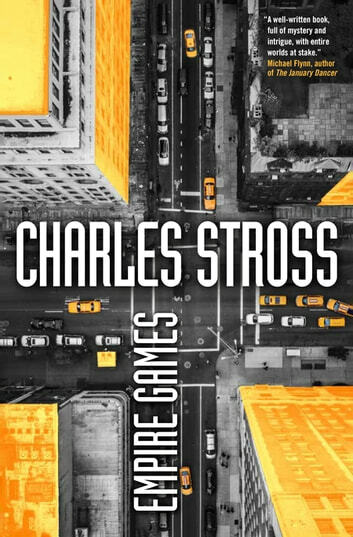 Charles Stross builds a new series with Empire Games, expanding on the world he created in the Family Trade series, a new generation of paratime travellers walk between parallel universes. The year is 2020. It's seventeen years since the Revolution overthrew the last king of the New British Empire, and the newly-reconstituted North American Commonwealth is developing rapidly, on course to defeat the French and bring democracy to a troubled world. But Miriam Burgeson, commissioner in charge of the shadowy Ministry of Intertemporal Research and Intelligence—the paratime espionage agency tasked with catalyzing the Commonwealth's great leap forward—has a problem. For years, she's warned everyone: "The Americans are coming." Now their drones arrive in the middle of a succession crisis. In another timeline, the U.S. has recruited Miriam's own estranged daughter to spy across timelines in order to bring down any remaining world-walkers who might threaten national security. Two nuclear superpowers are set on a collision course. Two increasingly desperate paratime espionage agencies try to find a solution to the first contact problem that doesn't result in a nuclear holocaust. And two women—a mother and her long-lost daughter—are about to find themselves on opposite sides of the confrontation. 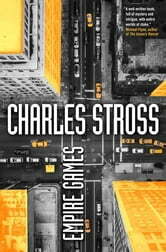 Nobody mixes espionage and scifi as good as Stross. Follows in the wake of the Merchant Princes series and keeps upping the stakes.